Scott Allen wrote to the Minister of Education asking that child care workers make a living wage. He says he was shocked to learn that the people taking care of his toddler were making between $13 and $16. Working parents in Saskatchewan know it can be tough to find daycare. Keeping staff at licensed daycares can be just as difficult. 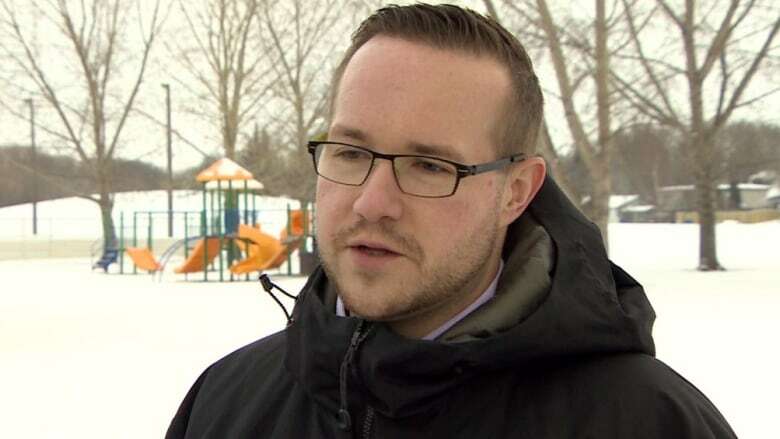 A Saskatoon father is urging the province to take a closer look at how the people who spend their days caring for so many children are paid. Scott Allen has a two-and-a-half-year-old daughter who goes to a licensed daycare while he works. Allen said his daughter loves being there, but she is confused by all the staff changes. Since his daughter started, six of the eight daycare staff have left, according to Allen. "They've had some amazing people at that daycare, as I'm sure they do across the city — across the province. I was a little annoyed because I was like 'why is she gone now? What's happening? Why are we losing another one?'" he said. Allen spoke to his daycare director who said that they can only pay their staff minimum wage or slightly higher depending on experience, so they often can't afford to keep them. "If we aren't willing to pay even a cost of a standard of living for like $15 to someone to watch our children and to help them grow when we can't be there, I think that's pretty sad," Allen said. "I think that's pretty scary. I am worried as a parent of what is going to happen in the future if she never gets to make a good attachment in the daycare with an adult." Scott Allen has a two-and-a-half-year-old daughter who goes to a licensed daycare while he works. (Matthew Garand/CBC)What workers at licensed daycare facilities make depends on the centre. Generally, it's between $13 and $16 an hour. According to Saskatchewan Polytechnic ,someone with an early childhood education certificate can expect to make $21,300 to $50,100 annually, but licensed facilities set their own wages. Allen said many of the people who worked with his daughter left for higher wages or went back to school. So, Allen decided to send a letter to Education Minister Don Morgan asking for child care workers to receive at minimum a living wage of $15.25 per hour. The province does subsidize wages for child care workers to a point. In an email to CBC, the Ministry of Education said they recognize the staff turnover in the child care sector as an issue. The province does not track wages or turnover rates in child care. Director of the YMCA Child Development Centre Veronica Fusnik says child care is a calling. (Matthew Garand/CBC)Veronica Fusnik is the director of the YMCA Child Development Centre. She said they would always like to see more support, more subsidies, and more grants in order to pay staff better, but child care work is a calling. "I don't think I've met any teacher that was rich being a teacher. You do it because you really, really like it. It's your calling," she said.